When it comes to the use of software, no one would want to be an object of the trial. We always prefer to make use of the best possible program that is recommendable by a good number of user reviews or by a trusted user. Conversion of PDF to PNG might not be as easy and straightforward as it sounds without the use of the best software to change PDF to PNG. Therefore, in this article, we bring forth to you the best way to learn how to change PDF to PNG. In the field of all PDF-related operations right from creating one to editing, iSkysoft PDF Editor 6 Professional for Mac (or iSkysoft PDF Editor 6 Professional for Windows) is the best at carrying out each and every PDF task. It is not just a powerful PDF toolkit or software, it is also a user-friendly and easy to use program. 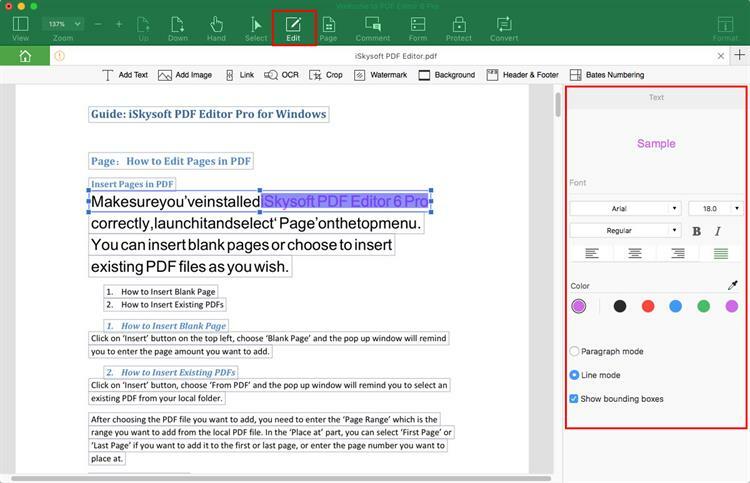 It is not just another tool to save PDF as PNG or to change PDF to PNG, but it packs a great deal of actively functional editing and conversion tools. Its user interface is quite appealing and concise to navigate through for all users, irrespective of their computer expatriate. Here, we will be looking into the easy steps that should be followed while using iSkysoft PDF Editor 6 Pro for Mac to change PDF to PNG. To start the process launch the PDF to PNG converter that is iSkysoft PDF Editor 6 Pro for Mac after downloading it from the official website. On the software home screen, click on the “Open File” button to navigate to the location where the PDF file to be converted is located on your personal computer. Alternatively, you can select the “Convert PDF” option from the home screen to open the PDF file to be converted. You ought to make relevant conversion settings within the software before you proceed with the converting process. For that visit the Edit Menu, and follow with editing the text, images, background, crop effects etc. In order to complete the process and successfully change PDF to PNG, click on “Convert Menu” from the top and click on “To Image” option. Here you will see the image format drop-down menu, select the PNG format, then, simply hit “Convert Button” and your file would be converted from PDF to PNG. Following above guided method will enable you to understand how to change PDF to PNG on mac. 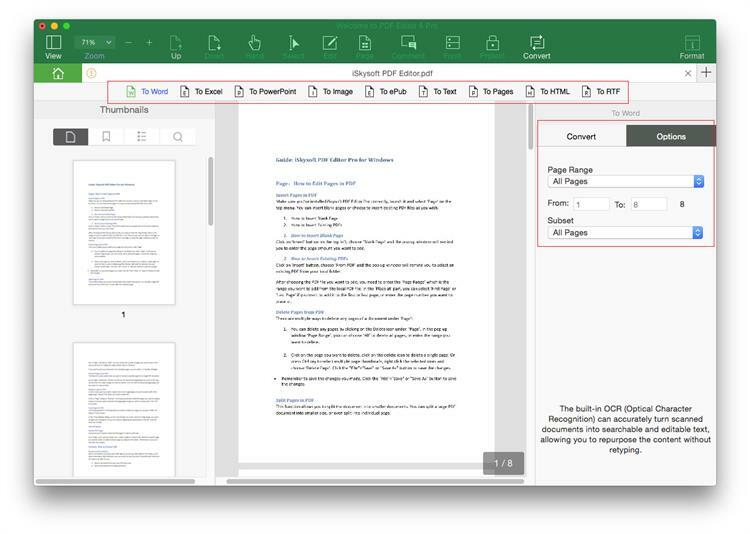 iSkysoft PDF Editor 6 Professional for Mac (or iSkysoft PDF Editor 6 Professional for Windows)is a software developed by iSkysoft, a reputable developer. It is the best possible software that handles all form of PDF related issues, including saving PDF as PNG. 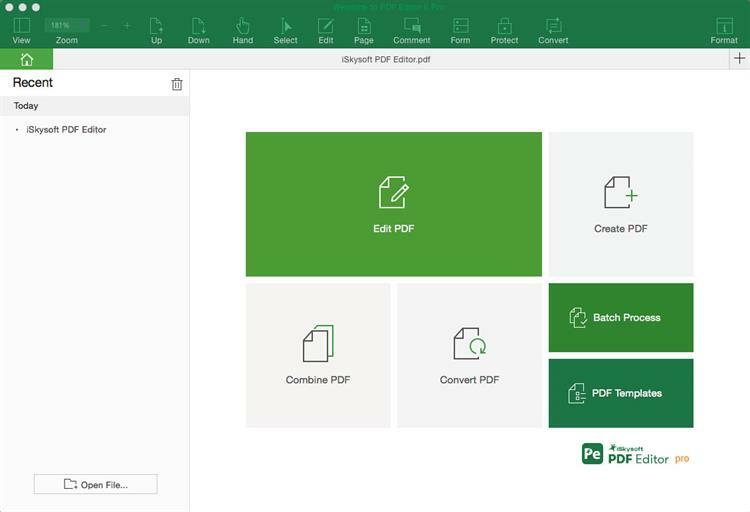 You can open and save PDF to several other formats with a simple click no matter the size of the PDF or the number of pages. 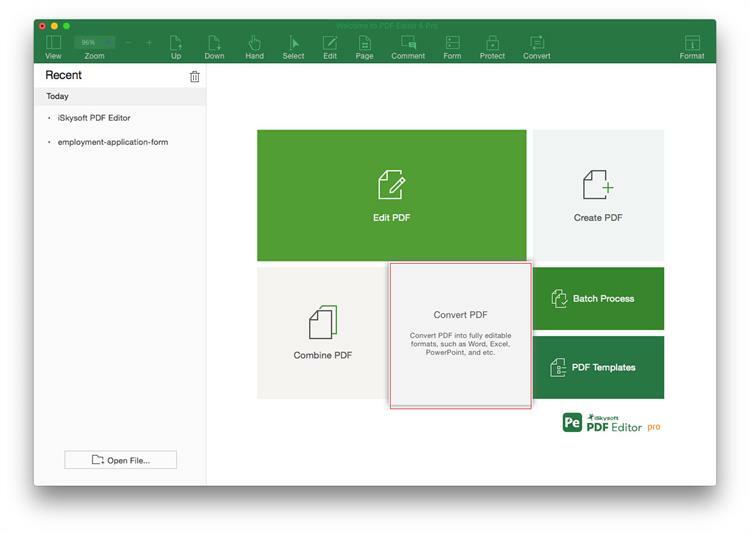 Creation and conversion of PDF files does not come easier than it is on PDF Editor Pro with features that do not only create PDF documents, but can also convert a PDF file into other formats, combines more than one PDF into a single file, or on the other hand, splits a single large PDF file into smaller ones. Markup a PDF file with annotations, free handwriting, or a personal stamp or signature. Editing which involves easily editing the text content of a PDF file by either adding or deleting the texts within the PDF file without converting. It handles image editing as well which means you can delete, rotate, crop or extract images in a PDF document. The software also uses OCR technology to scan text from image files and make it available for copying and editing.